Rumor has it that actress Salma Hayek never smoked before filming the movie Frida. But she had to learn how to play artist Frida Kahlo, and after the movie she had trouble quitting. I know exactly how she feels. 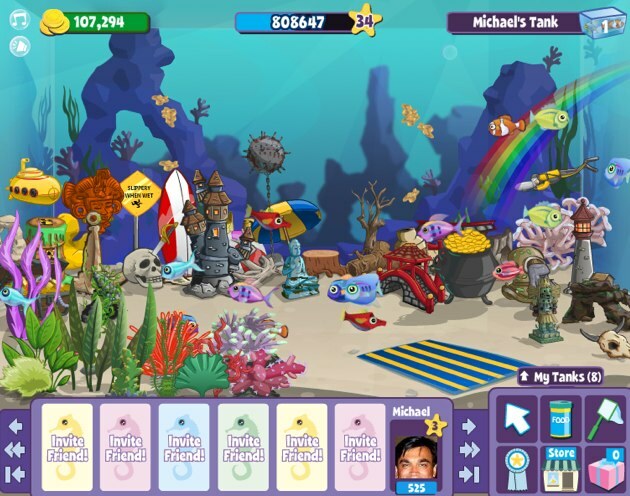 Because part of the fallout of all the Scamville posts I wrote last month is a lingering addiction to one of Zynga’s games, Fishville (yes, the game that Facebook shut down for three days for violations of their advertising rules). A lot of the information in those Scamville posts came from good old fashioned research. I played the games to see what would happen. At first I thought they were ridiculous. I was growing acai trees and milking cows on Farmville, slaying the undead on Vampire Wars, and hitting mafia bosses with crowbars on Mob Wars. And of course I clicked on the offers and even paid cash a few times for currency. At some point I was talking about FishVille in the office and a couple of people asked why in the hell I was still playing the game with the posts completed. I realized then, in a flash, that I had a problem. I was addicted to FishVille. Total. Loser. I quit that day. Cold turkey. I checked back in a couple of days later to see what kind of situation I had on my hands. It was ugly. 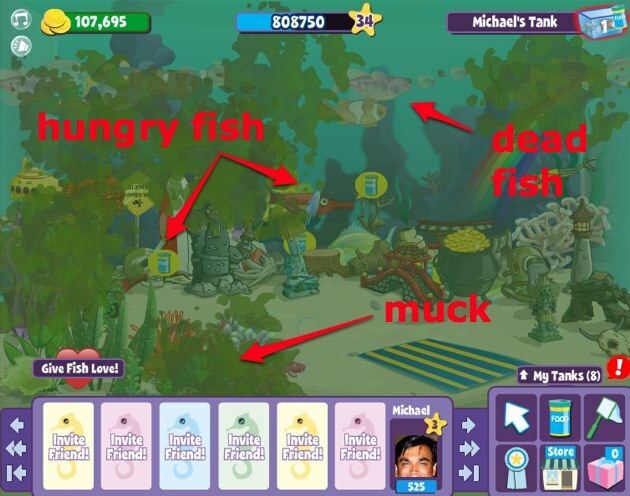 Most of the fish were dead, the few left alive were starving and the aquarium was dirty and mucked up. I took a screenshot and got out quickly. And this morning I checked one last time on my FishVille situation. 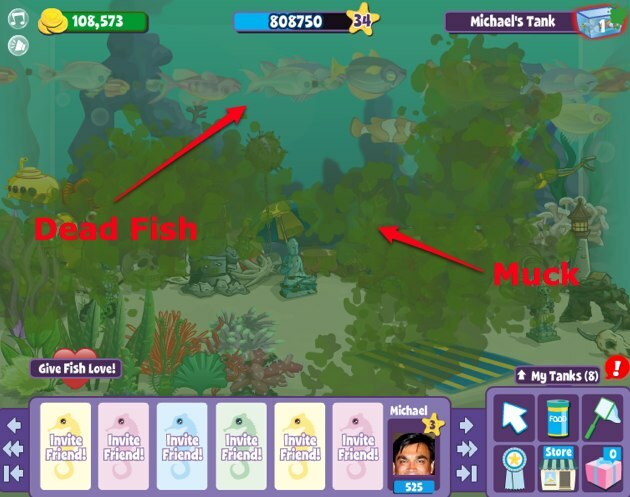 All of the fish are now extremely dead. The tank is a mess. Before you laugh too hard at me (or after you’re done), realize this: seventy million people a month play FarmVille on Facebook alone (it was 60 million last month). There are Facebook groups on FarmVille addiction. Here are some tips from an ex addict on how to avoid becoming addicted. And YouTube is littered with people admitting their addicted to these games. Social gaming addiction is a real problem. It may be a somewhat funny problem, but it’s still a problem. And it’s no wonder that kids without access to credit cards are taking all these sketchy offers to get game currency. They’re hooked.